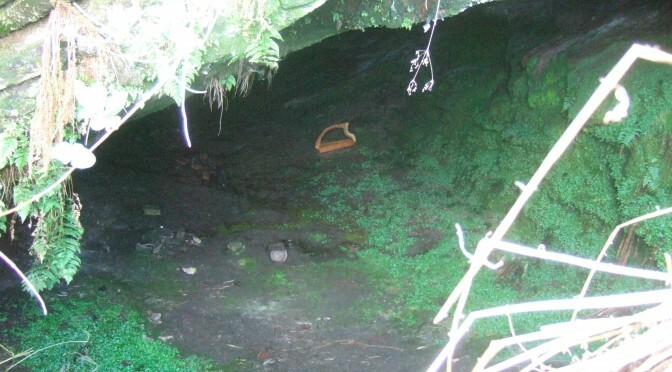 On a whim, I went to the cave, and recorded a video of the pìobaireachd, Uamh an Òir (the Cave of Gold). It was an interesting experiment in playing ‘extempore’ – I rarely try playing this tune on the harp, and I don’t think I have ever played it right through from one end to the other before. I made an extensive study of the songs, for my recording of one version sung on my 2012 CD Old Gaelic Laments. And I have also listened a lot to Murray Henderson’s recording on the pipes. So it was just a question of remembering the sequence of variations, and quickly deciding where to place it on the harp, and how to handle the urlar. Of course there are a lot of minor blemishes here but it was a single take under trying conditions – I hope you find it of interest. Holy crap that sounds good, maybe it’s partly the cave. I think Vicente’s comment about the newly reshaped soundbox is the the best (and a good joke); i.e., that it’s less woody sounding. I was going to say that it sounds purer and with a little more sustain; I notice the difference mostly in the mid range.